It's now no more a secret that any restaurant which wants to enjoy a huge chunk of fame and recognition needs only one address, Janpath! With plethora of options mushrooming in and around Janpath, a place with a totally different concept and even better food, drinks and sheesha has come up, known as Tourist. Tourist, has been modelled as the ideal stopover for an actual tourist. With maps painted beautifully on the walls, a huge book shelf along an entire wall spreading from the floor to the ceiling, a menu printed in the form of a passport with details about each food item and its origin and a super pretty terrace, this place will surely hold your attention. For those who love to travel, we take you on a foodie world tour! This is a chaat preparation made using kachoris with ghugni, mishti doi and chillies. With a consistency of a papdi chaat, the sweet curd mixed with imli chutney and the crispy kachoris really could not stop us from licking our fingers at this wholesome creation! 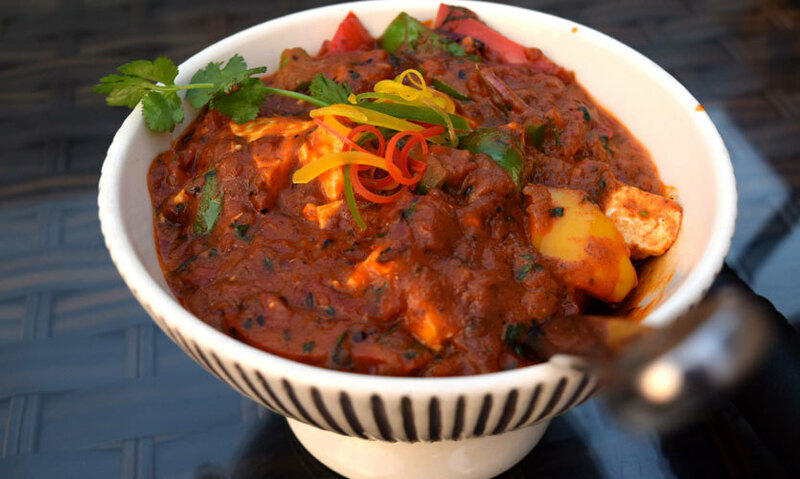 We loved delving into the thick onion based red gravy full of lip smacking and soft paneer cubes. With the zestful flavour of thost typical paneer curries, North Indians are really going to love this rendition of kadhai paneer. 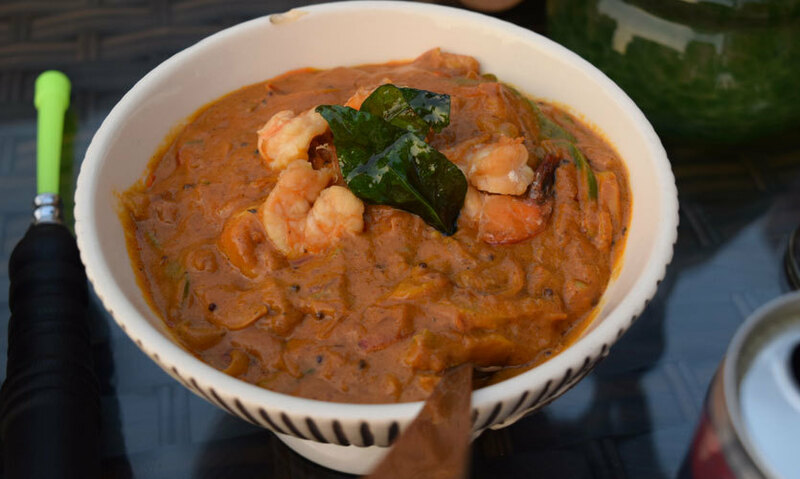 Made with dry red chilli and a coconut base, these curried prawns made for an outstanding Karnataka speciality which we accompanied with butter naan. The astute flavours rendered by the South Indian spices and the well done onion based curry really made for an outstanding dish. 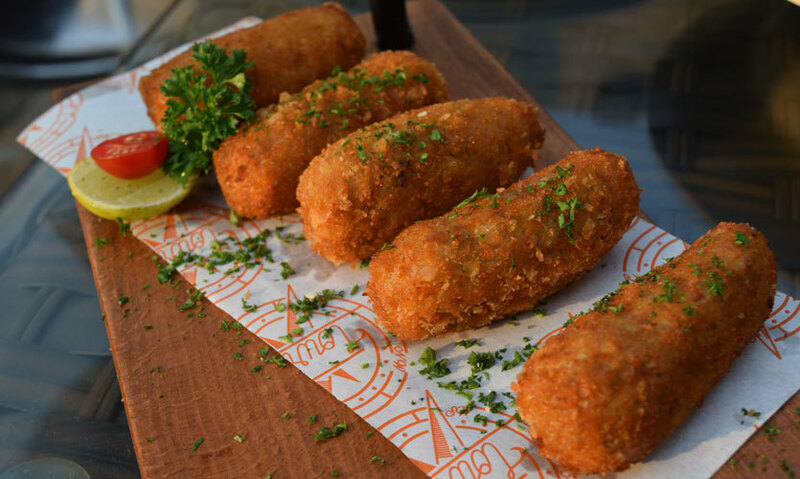 A preparation of mashed mushrooms rolled in cheese, only to be deep fried and presented with a chilly salsa dip, the croquettes really swept us off our feet! They were so soft and cheesy that it almost melted in our mouth at the first touch. A crispy fried fish fillet served along with thick french fries only reaffirmed our belief in the quality of food being served at the Tourist. 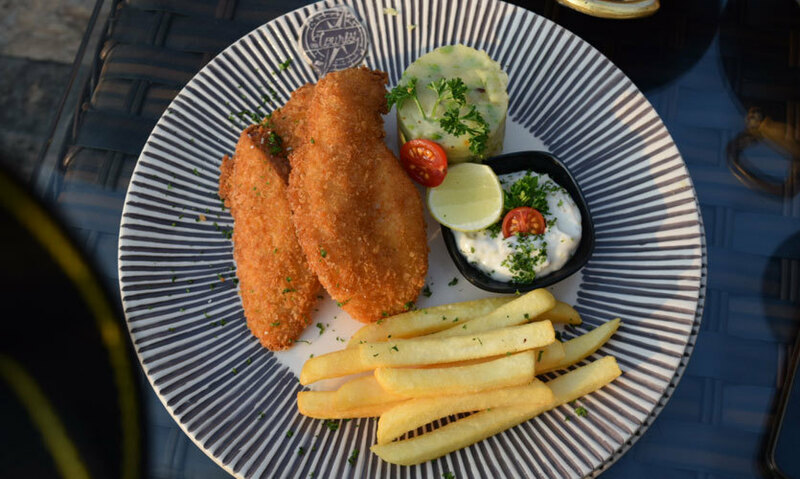 The platter comes in full with mashed potatoes, fish, fries and tartare sauce. 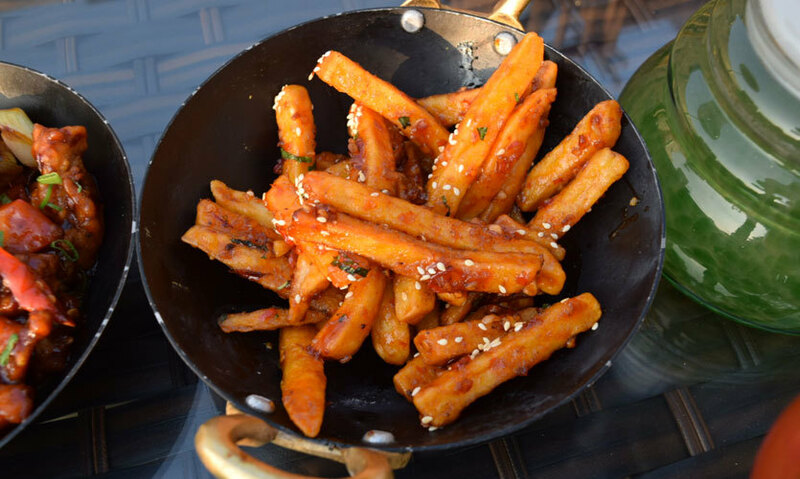 A rendition of the popular Honey Chilli Potatoes, this dish is made using five spices, sesame and basil. It's one of the tastiest dishes we had for lunch at the Tourist giving a feeling of being transported to the far side of the East. 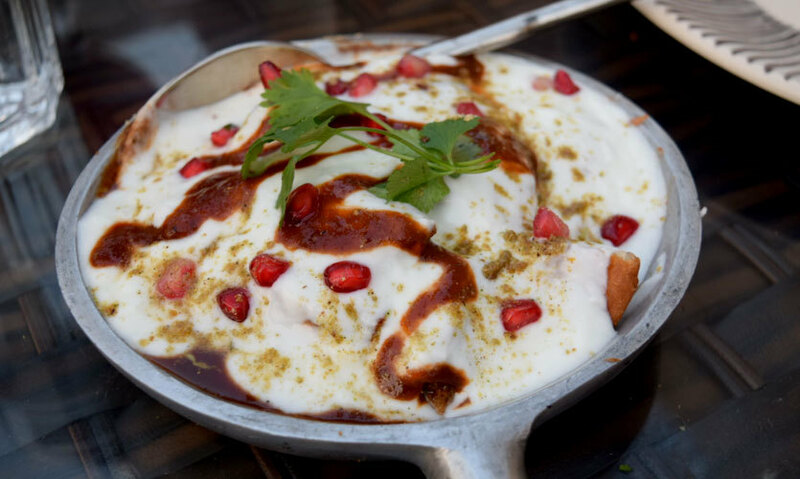 We assure you, you will not be disappointed by this dish! 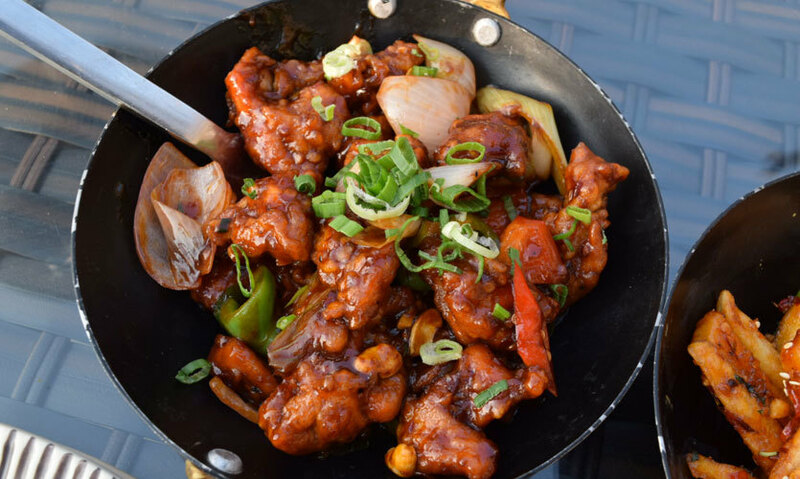 Sourced from the heart of Far East, a boneless chicken marinated with a red chilly bean sauce thrown around in cashews and peppers gives their famed Dragon Chicken a proud twist which is spicy and flavourful - go try! And with all the lip smacking food that we gorged on from various continents and countries around the world, we washed our food down with Tourist’s innovative mocktails and some fresh draught beer. It's also worth noting that they have a separate designated team for preparing the sheeshas so this aspect is not neglected. We wholeheartedly recommend Tourist, which is slowly changing the map of Janpath for good to enjoy a casual lunch or a wintry evening date on their beautifully lit up terrace!